Beer Can Chicken is a delicious, juicy recipe that we love to cook in the summertime so since the weather is starting to warm up a bit, it’s the perfect time to add this recipe for everyone to try. Personally, I had never heard of it until I married my husband 11 years ago and thought it was a strange way of cooking chicken. You can use your own herbs and spices to this recipe but I’ll share how I make it, or should I say, how my husband makes it. The first thing to do is to set up your grill, which we have a charcoil grill. You want indirect heat so I have a picture of what your grill should look like. After your chicken is prepared for grilling, place it over the pan on your grill to catch the drippings. Beer can chicken is nothing more than opening a can of beer and putting it into the chicken so when the beer boils as it cooks, it infuses into the chicken. It makes for a more juicy chicken and it’s a fun summertime meal. Rinse chicken under cold running water. Discard giblets and neck from chicken; drain and pat dry. In a small bowl mix together brown sugar, chili powder, paprika, dry mustard, salt, and ground black pepper. Rub the mixture underneath the skin and on to the meat, being careful not to tear the skin. 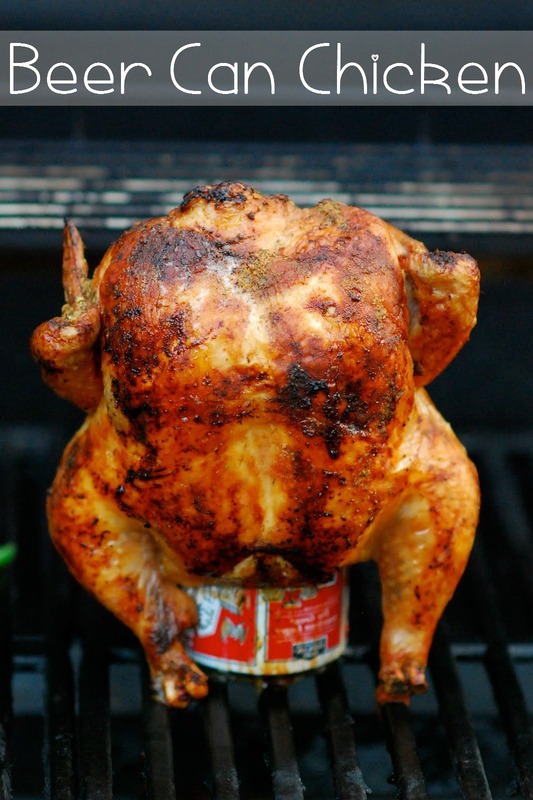 Fit whole chicken over the can of beer with the legs on the bottom; keep upright. Sprinkle 1 teaspoon of the seasoning mix into the top cavity of the chicken. The beer may foam up when the seasonings fall inside the can. Rub the remaining seasoning mix over the entire surface of the chicken. Place the chicken, standing on the can, directly on the preheated grill. Close the lid and grill the chicken until no longer pink at the bone and the juices run clear, about 1 hour 15 minutes. An instant-read thermometer inserted into the thickest part of the thigh, near the bone should read 180 degrees F (82 degrees C). Remove the chicken from the grill and discard the beer can. 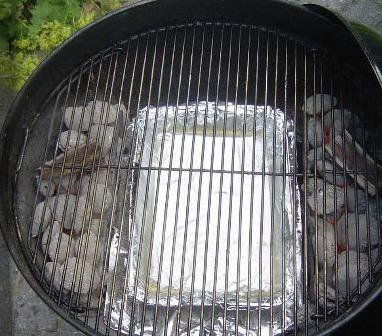 Cover the chicken with a doubled sheet of aluminum foil, and allow to rest in a warm area for 10 minutes before slicing. Cook’s Notes: The other half of the can of beer is for the cook to enjoy while preparing dinner. You can also purchase a Beer Can Stand at almost any store but my husband prefers to balance the chicken on the beer can itself. Another note, my husband’s family calls this recipe “Dancing Chicken” because they say that the chicken dances while it’s being cook. Too many beers, possibly.